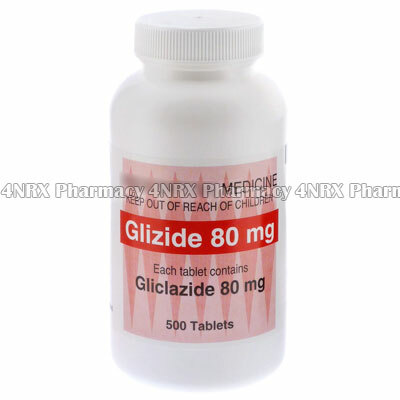 What is Glizide (Gliclazide) used for? Gliclazide is used to lower blood sugar levels in people with type-2 diabetes mellitus (noninsulin-dependent diabetes mellitus). The amount of insulin produced by the body is increased. This extra insulin helps to break down more blood sugars reducing the amount of sugar left in the blood. How should I use Glizide (Gliclazide)? You will need to undergo some blood tests before determining the correct dosage of glyclazide. Your doctor will then be able to calculate a starting dosage. Further blood tests may also be needed and dosage adjusted accordingly. What are the side effects of Glizide (Gliclazide)? Gliclazide can cause nausea, upset stomach or diarrhea when you first start taking. If these side effects continue or becomes problematic, you should contact your doctor. Low blood sugar (hypoglycemia) is one possible side effect of gliclazide. If you notice excessive tiredness or drowsiness, weakness, dizziness, nervousness, shaking, increased sweating, increased hunger, tingling in the hands and feet, increased heart rate. Eating at regular intervals throughout the day can help reduce or avoid these symptoms. If you do experience hypoglycemic symptoms, drinking juice or soft drinks can increase your blood sugar. You must contact your doctor if gliclazide causes hypoglycemia.